According to a recent Houzz & Home survey, homeowners are investing more on bathroom renovations than in previous years, due to outdated designs and finishes. Here are some of the latest trends and tech updates being used in bathroom design. A full remodel is not necessary to realize a big impact in the bathroom. Smaller changes often create big rewards, both from a resale perspective and improving your daily experience. 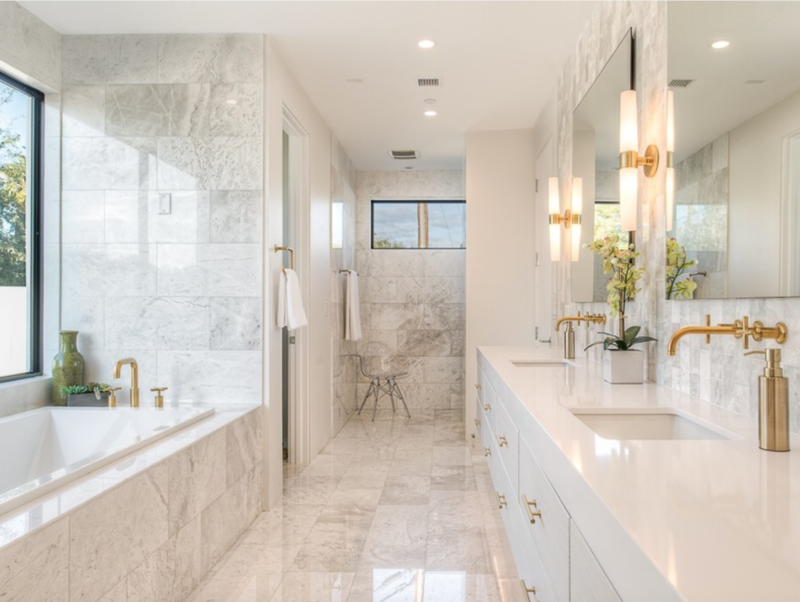 When larger changes are made, homeowners are incorporating amenities such as no-threshold showers and higher vanity heights, which allow for aging in place. Accessorized soaking tubs: You can take a basic bath, or soak in a chromotherapy tub with mood-enhanced lighting. Or enjoy an air bath, with massaging bubbles similar to a hot spring. Contact me for reliable service providers to update your bathrooms. Protecting your Real Estate investment Every Step of the Way.